Precision design is a process where the tolerances are usually very low. How low this is, depends on a host of factors, including the design approach one uses for the product. 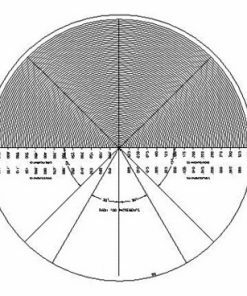 Willrich Precision has a wide variety of accessories that can be used in accurate design to achieve this, such as charts. The Willrich Precision philosophy is that we only sell items that are high quality and as long lasting as possible. Any design charts that you buy from us, whether custom made or not, will be guaranteed to be very accurate and have a strong build quality. Shopping from Willrich Precision is an experience that you will definitely not regret. With our well-designed website and inventory, you are assured of having an easy time finding what you need despite our vast inventory. This is thanks to an intuitive design, whereby the site has all the buttons and links where you expected them to be. As a result, you can quickly find a number of items you are shopping for and then check out easily. Our charts are carefully made to ensure that not only do they be as accurate as possible, but that they end up lasting long without this accuracy degrading with time. For more information about them, you can always consult our staff.